Hi, Another Short Comparison. 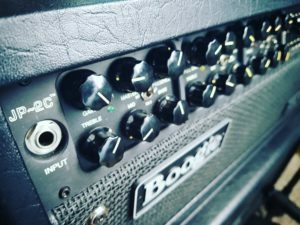 This Time Real Boogie JP-2C > Mesa Rectifier 412 > 2xsm57. And Preset from Fractal AXE FXII XL+ USA IIC++ Ampsim + Rectifier 412 > 2xsm57 Cabinet IR. Band Karhu check it here: https://karhu.bandcamp.com/ Enjoy! Song 2 Bullet For My Valentine – Scream Aim Fire [Dan James Cover] Marshall 1960AV Cabinet.